Building Enclosure Consulting is an independent consulting company devoted to education of our customers and other building enclosure consultants in sciences and technology of building enclosures. We pursue this goal by 1) our voluntary involvement in the Building Enclosure Council, the Building Enclosure Sciences and Technology Board, and other professional associations, 2) sharing the know-how in conference papers and articles published in professional magazines, 3) sharing the know-how by lectures, seminars, presentations, and workshops, 4) drafting and publishing design manuals, 5) publishing trivia, 6) keeping current with the new developments by attending seminars and lectures of our peers, 7) reading, reading, and again reading professional books, papers, and articles. This manual is intended for designers designing large facades in the high wind regions and is organized in four logical steps: Where, What, Why, and Design, explaining the steps a façade designer needs to follow in order to verify and address the elementary impact resistance requirements. The author is a chairman of Building Enclosure Council (BEC) in Miami, FL, covering the areas subjected to the peril of wind-borne debris impact; therefore, he frequently responds to questions dealing with the specifics of the hurricane-proof façade design. This manual is intended to clarify and respond to some frequently asked questions, typically posed by northern designers experiencing lack of information regarding impact resistance design for public, commercial, healthcare, cultural projects, and other large projects in the South. In the recent flooding in Broward County, we saw pictures we hoped we would never see again: abandoned, submerged cars, inundated houses, and gigantic traffic jams. Human memory works in a mysterious fashion: we tend to remember good times, while we push away bad memories. This may explain the irrational exuberance evidenced in some new construction projects. The lesson still stands: The flood is considered one of the most devastating hazards with a predictable recurrence. Read the manual and understand the steps required to make a building enclosure floodproof. The manual addresses questions frequently asked by architects suspecting their projects may be subject to the flood hazard. This paper was developed as a handout for attendants at the AIA National Convention in 2010. Those of you who attended his lecture would be able to recall some points of his speech. Again, we must apologize to those of you who were unable to attend this lecture due to the closed doors (AIA staff blocked the entrance once the room filled above 420 people capacity). The paper presents elementary concepts of façade engineering and focuses on areas typically overlooked by architects and engineers, chosen on the basis of observations derived from forensic investigations of failed assemblies, peer reviews of architectural documentation, and a façade engineering practice. A balanced, holistic approach to the facade design is emphasized. Common functions of façade are discussed, including: structural adequacy, air tightness, oisture and water control, solar heat and sunlight control, ergonomics, fire and smoke safety, security, blast resistance, wildlife control, noise mitigation, responsiveness to codes, durability, feasibility and economy of manufacturing, installation, maintenance, repair, and environmental impact. As building enclosures are typically the single largest factor responsible for lifetime building performance, the buildings’ performance is compared and contrasted with performance observed in products of other industries. Common users’ expectations are listed and evaluated by architectural criteria as well as the design selection process. Architectural continuing education, in this manner, is discussed and compared to education in the aviation industry. Emphasis is placed on typical sources of confusion in design and construction, particularly those stemming from gaps in communication andcoordination between architects and engineers, architects and delegated design teams, and subcontractors responsible for adjacent façade systems. This article is intended for education and amusement of both authors and recipients of reports describing deficiencies of building enclosures. It may also prove useful in other areas of expertise, as number of issues are fairly universal. The list of covered items: 1. Conclusions Are So Much Easier To Formulate In The Absence Of Facts, 2. Obscurity Of The Forensic Process Is Too Often An Excuse For A Sloppy Work, 3. The Individual’s Expertise, 4. Conflict of Interest, 5. Objectivity, 6. Separating Fact from Opinion Preserves the Integrity of Both, 7. Forensic or Not, 8. Purpose and Scope of an Investigation, 9. Time, 10. Importance of the Address, 11. Use of Hedge Words, 12. Accuracy and Precision, 13. Purpose of the Testing, 14. Discussion on Alternative Recommendations, 15. Light Has a Sanitizing Effect. 12. Foggy Glass Disease. Looking Through Hazy Windows. (PDF, 8 pages, size 1.44MB). Is your window foggy? If so, welcome to the growing club of unhappy owners of the hazy glazing. The "foggy glass disease" can be described as a white discoloration and loss of transparency. This article was written to respond to typical questions posed by those affected by the disease, and is intended to instruct the reader on how to check their glass, sheds some light on reasons why the glass became foggy, and gives some practical solutions. It's directed to owners, managers, and maintenance crew of large buildings and focuses on an architectural rehabilitation as opposed to new design and construction. Insurance adjusters may find the article useful in separation of damage from preexisting conditions and gradual deterioration. Have you ever wondered where the vapor retarder should be located? The answer is simple, and it's hard to understand why so many myths grew around this subject. Unlike air leakage, it's easily quantifiable. However, unlike the air leakage, it's hard to understand without elementary science education; which probably explains why architects fail so often and so miserably.We will quote some examples, but however funny architectural goofs may sound, the troubling part is their role models don't do much better, as illustrated by examples from architectural education. This is the BEST3 Conference paper. The DVD will follow soon. It's working title is "Skylight 101, or what you have always wanted to learn about sloped glazing." Presents typical challenges and solutions associated with sloped glazing and skylights, presents a history of development of sloped glazing, different classifications, including the one developed by the author on basis of the air barrier location, types of internal and external drainage of sloped glazing, structural challenges typical sources of failures, applicable construction testing procedures, code compliance, maintenance access to the sloped glazing, safety standards, challenges involved in obsolete code interpretation as related to the modern glazing, analyses of frequently misunderstood details, examples of correct details, and energy ramifications of sloped glazing. Case examples will include typical cases of leakage, condensation and icing, thermal simulations of skylight, as well as a structural collapse of a monumental sloped glazing. Many designers and builders treat sloped glazing as it were a tilted curtain wall. However, this proved to be one of the most challenging assemblies, seldom fully understood by their own manufacturers, fabricators, and installers, as well as building enclosure consultants. This may be well illustrated by the fact that rain water leakage of sloped glazing is as unique as it is widespread: it’s unique among other leakage cases because the source and location of a leak may often be obvious; however, it still requires a thorough expertise to understand the mechanism and devise a fix. It’s widespread because many glazings were designed and built wrong from the start, and botched glazings have often successfully resisted multiple investigations and repair attempts. This seminar focuses on areas typically overlooked by architects and engineers in process of building envelope design. The topics are chosen on basis of observations derived from both forensic investigations of failed assemblies and peer reviews of architectural documentation. Kaz gives seminars on the subject of building enclosures. The lectures are continually developed and updated as the author remains active in the field and adds new stories or replace the old ones in constant pursuit to better clarify the subject. The lectures are elementary in nature but intended as a discussion as opposed to a monologue to optimally address the average professional audience. Participants are encouraged to ask questions and explore their respective areas of interest even at the risk of a lecture wandering off the main topic. Seminars are principally oferred in two languages only: English and Polish but we may also arrange for Russian, French, Spanish, German and other language translations. The seminars focus on areas typically overlooked by architects and engineers in the process of building envelope design. The topics are chosen on basis of observations derived from both forensic investigations of failed assemblies and peer reviews of architectural documentation. Workmanship defects are seldom explored unless they are irresistibly funny or present a useful lesson from a designer's standpoint. The topics listed below are available immediately. Others may be custom prepared. 1. 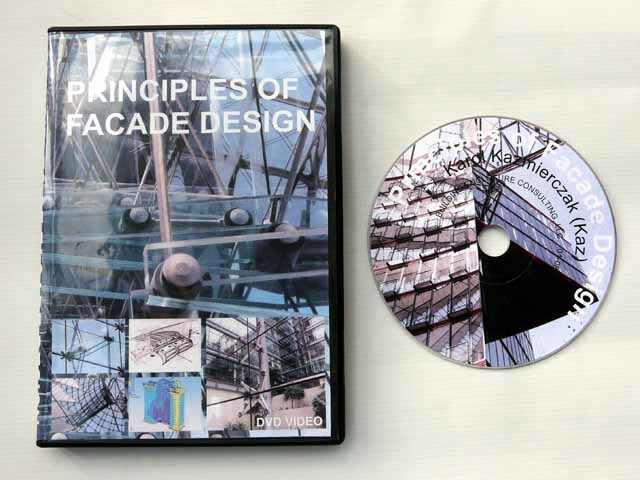 Principles of Facade Design is generally recommended as a starter for the series. 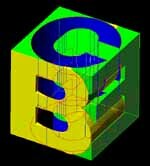 The lecture discusses design and engineering of building enclosures. Primary façade design principles are classified and demonstrated with emphasis on a structural safety and a holistic approach. Table of contents includes: Classification of Façade Functions, Definitions, Environmental Protection, Ergonomics, Access Provisions, Feasibility, General Explanation of Façade Design Principles, Structural Resistance, Waterproofing, Condensation Control, Snow and Icing, Thermal Insulation, Shading, Durability, Wildlife Proofing, Flood Proofing, Noise Mitigation, Security, Dirt Build-up Prevention, Fire and Smoke Proofing, Economy, Hints on choosing your team, and Sources of Information. Read more. Also, see the fragment recorded in Atlanta, GA on YouTube. DVD is available for purchase! Read more. 2. Curtain walls presents curtain walls, their fundamental classification, and challenges and solutions associated with them. The structural role of curtain walls, fundamental classification of curtain walls, glazing types and their modes of failures are analyzed, relevant building code requirements, tests of curtain walls, and main sources of water leakage are discussed. Read more. 3. Thermal Engineering in Building Envelope Design describes the means and goals of energy engineering with respect to building envelopes: heat transfer and condensation risk assessment procedures and presents the basic thermodynamics concepts with special focus on the areas typically overlooked by architects. Read more. 4. Sloped glazing presents typical challenges and solutions associated with sloped glazing and skylights. Read more. 5. Hot and Humid Climate and Hurricane considerations in Building Enclosure Designpresents non-obvious aspects of building enclosure design in hot and humid climates frequented by hurricanes. Requested most often by foreign architects planning to design in the Gulf region. Read more. 6. Storefronts presents challenges associated with the outdated design and engineering of the glazed doors and windows in a fixed glazing. Focuses on comparison of performance of similar products and discussion on details. Highly technical and recommended chiefly for education of other building enclosure consultants. 7. Curtain Wall "Detail Digest" discusses common errors in details of cladding comparing incorrect and correct solutions. Highly technical and recommended chiefly for education of other building enclosure consultants. 8. Façade Engineering With Glass addresses the typical architectural questions: how to use the glass to achieve the desired architectural goals, and what advances in technology help to shape the modern architecture. Talks about spectrally selective coatings, insulative glass, acoustic glass, security glass, self-cleaning glass, photovoltaic array s, anti-reflective glass, switchable glass, and low-iron glass, structural characteristics of glass, as well as LED media walls. Discusses challenges such as misaligned performance expectations, obsolete codes and standards, production size limits, dimensional tolerances, energy and security misconceptions, glare, and life expectancy, cladding two-directionally curved facades. Read more. 9. EIFS discusses the exterior insulation systems in a way that would put your E&O insurer at ease. If you are like most architects, you have probably already attended at least two types of seminars: provided either by manufacturers or forensic experts, and they made your head spin. Most likely, neither of them proved helpful in your design system choice. Kaz fills this gap by his unbiased, factual discussion of pros and cons associated with EIFS. He describes the advantages such as low initial cost and energy consumption as well as the disadvantages such as the high reliance on a field workmanship and the substrate sensitivity. Typical caveats are demonstrated on examples from his forensic practice, and illustrated by examples of a proper construction documentation for your benefit. 10. Greening Building Envelopes discusses sustainability of building envelopes the way nobody has yet examined the subject before. This is as different from the average bromidic sustainability seminar, as it gets. Reid will tell you how he has saved millions of dollars by improving the buildings he manages. Kaz will focus on the most overlooked scientific aspects of energy improvements, and show lessons learned pertinent to the hot and humid climate. Today, the real-estate and construction industry focuses on two new buzzwords: "Green" and "Building Envelope." The industry also looks for savings, and what can be more economical and greener than prolonging the technical life of the existing structures? We will present several case examples of troubleshooting and preserving value of building envelopes of large buildings, which, often built wrong from the start, are typically the most expensive and most maintenance-demanding part of a building. We will show successes and lessons learned in reducing energy use and addressing persistent failures. We will also address relevant energy regulations pertaining to the existing buildings in Florida. Learning Objectives: -Often Overlooked Secondary Consequences of Energy Upgrades -Combining Energy Upgrades with Renovations. -Diagnosis of Building Enclosures: Tools of the Trade. (MacGyverizm). -Do you Know Where Your Money Went? Tracking Energy Costs. Mr. W. Reid Morgan, P.E. is a Physical Plant Director at Broward Campus of the Florida Atlantic University. He manages several educational buildings, including two high-rise towers. He is a civil engineer by education with a BS from the University of Maryland, College Park. He worked ten years in heavy construction managing foundations and concrete techniques for wet underground structures, such as subway tunnels and multi-storied basement in NY, Wash., DC, Philadelphia and Dallas. This early introduction into the negative effects of water leaking through “solid” walls has been a lifelong challenge of determining the solutions to pervious to impervious phenomenon. As he progressed into general construction and now maintenance management issues, the long term effects are not only costly from life cycle of structures, but the total operating costs for HVAC systems. There is a correlation between humidity outside and how it gets inside via the building envelop, doors, windows and sometimes roofs. He has found solutions in the most curious of areas, such as measuring long term effects of humidity been left in buildings when unoccupied. He has saved many thousands of dollars for FAU and others by examining the existing “as built “drawings for oversight of insulation, or the lack of it; HVAC systems that are oversized or undersized. He has quantified how different lighting and computer systems has changed the HVAC systems over the last 30 years, and yet we have plenty of buildings that had minimum of modifications over the years. His speaking engagements have been from lecturing to engineering and architectural students at FAU, APPA presentations and local chapter of IFMA and BOMA. He also has lectured about the benefits of solar and LED fixtures to community and civic groups. Mr. Karol Kazmierczak (Kaz) M.Sc. is a Facade Physician. He cares for ailing building facades. On the average day you may spot him climbing a skyscraper or crawling dusty roof cavities, and on the average night he wanders your roof with a thermal imager searching for rain leaks. He specializes in high-rise buildings, worked with facades of over 400 buildings located on two continents, in miscellaneous climates, and has 16 years of façade engineering experience diversified among building enclosure technical design, consulting, construction inspections, and field investigations. He no longer practices facade engineering; instead he practices MacGyver engineering by developing custom procedures and tools to diagnose failures of existing buildings. He runs a blog at http://www.facade-doctor.com/FacadeDoctor/ which is as boring as his profession. Press: The seminar at the BEST2 Conference. Link to the USGlass press release. Facade Engineering University - Saturday Lectures at FAU - Discontinued in 2012. The lectures solicit great interest, as they let architects peek into the world of building science, long absent from the architectural curriculum, and seen through eyes of an independent expert. "It's like taking a sip from a fire hose." Kaz I enjoyed your recent presentation (...). Truly there is much that I don't know that I don't know about building facades. I very much enjoyed your presentation last night. I recognized many of the photographs from an article you authored for the September 2007 Construction Specifier magazine which was one of the most informative articles regarding curtain walls I have had the pleasure of reading in a great while. I look forward to attending some of your seminars in the future. I have recently had the pleasure of attending one of Karol’s recent lectures on curtain walls and the thermodynamics of facades and I was impressed by the extent of his technical knowledge and experience. Karol presents an unbiased, factual approach to facade systems based upon their actual engineering merits. Of particular value for architects is his explanation of the systematic design methodology, illustrated by “lessons learned” examples from his forensic practice. (...)Your experience with facade design, inspection of facade construction in progress, and forensic investigation offered a perspective on what to avoid. Your lecture was very informative and illustrated the kind of practical approaches to overcome typical design issues. Corzo Castella Carballo Thompson Salman, P.A. (...) I am delighted to recommend Karol. I had attended his lecture on curtain walls. When it comes to questions about façade engineering, energy conservation, curtain walls and sloped glazing, I recommend Karol’s expertise. (...) His information on façade design, including curtain walls and the thermodynamics of building envelopes was pertinent, as we at ACAI are developing several projects in which his information and thoughts can be applied. Karol works for us as a building enclosure consultant on the Veteran’s Administration Hospital project in New Orleans, LA . It’s a large project, encompassing 8 buildings connected by a central concourse. From the beginning of this assignment, Karol began to re-define our expectations of a building enclosure consultant. He started by delivering presentations on fundamental principles of façade design, described the performance characteristics of the building enclosures, and made suggestions for how these characteristics could be achieved. He helped us in the choice of building enclosure materials and systems to fit our project requirements, researched manufacturers, and sketched solutions to accommodate the desired proportions and alignments of the facades. He accommodated our consultation requests quickly and efficiently, even though he was on a deadline on other projects. His recommendations were well received and soon implemented by our architectural staff, appreciative of the value of his contribution and his unique skills in façade engineering. We look forward to working with him in the future. (...) your assistance with our LEED certified project, Claude Pepper Community Center was invaluable in resolving our complex issues related to the sloped windows and storefronts. When it comes to questions about facade engineering, energy conservation, curtain walls and sloped glazing, I would highly recommend your expertise. I hope more professionals will take advantage of your experience as a building enclosure professional since your understanding of the facade construction market and building codes would provide them an edge on designing a workable assembly. Several sets of questions originally intended as surveys to test the prospective audience and adjust the level of technical presentation to their needs are presented in the form of trivia for those of you who love testing their skills and comparing against others. The first trivia "Facade Engineering -Elementary Scientific Literacy for Architects " is temporary unavailable because we reached the maximum limit of users. We will bring it back soon. The correct answers are available immediately upon response to each question. We collect the responses to these trivia as a form of anonymous survey. Results of the survey would be published once they reach their respectable user limits. Kaz will explain in detail the answers to the questions that would prove the most challenging. Your privacy is paramount to us. The email address you provide will only be used to congratulate the winners. Your satisfaction will be your sole award. Other events pending confirmation. Contact us with calls for papers. Lists of books and online resources frequently requested by audience at our seminars is available under this link, until it's sorted out. Keep up with the news, including new trivia, results of the old trivia, new articles, events, etc. 05/08/2011. We are currently transitioning this part of the webpage to the new interactive site. Please update your links. 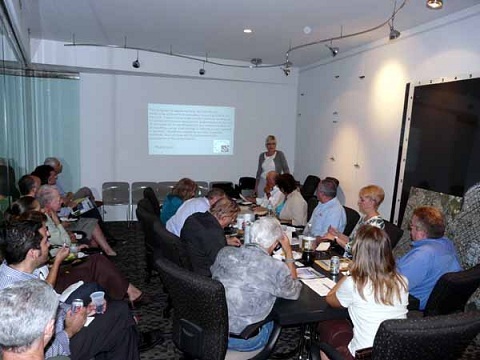 A monthly meeting of the Building Enclosure Council in Miami . The opening slide of the seminar on Principles of Facade Design. The image of the opening page of the trivia #1 published 4-23-2010.